14th November is celebrated as childrens day all over the india in every year in all schools. 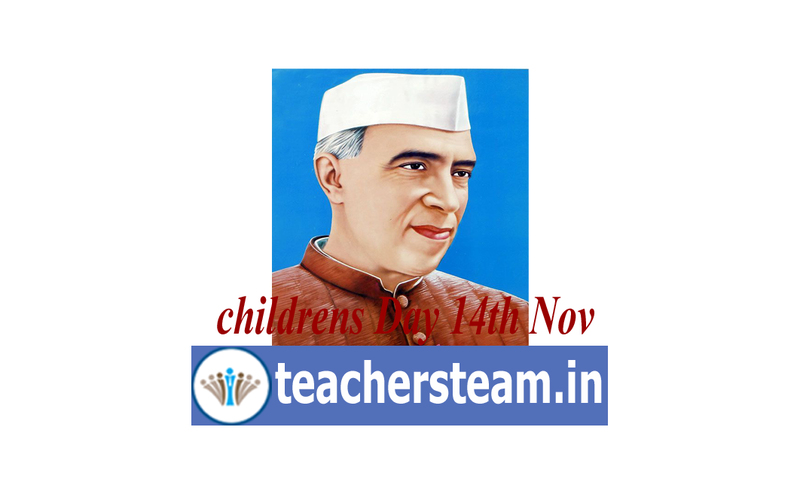 childrens day celebrated in account of Birth anniversary of Pandit Jawaharlal Nehru who is first prime minister of the India. He was true friend of children. He proudly loved them and kept them near to his hearr. Therefore children called him as Chacha Nehru. Nehru Born in Allahabad on 14 November 1889 . He was the chief framer of domestic and international policies during his term as PM between 1947 and 1964. Nehru whole heartedly embraced a political career only in 1919 in the wake of the Jallianwallah bagh Massacre. He followed Gandhi’s directives and was imprisoned for participating in the first civil disobedience campaign as general secretary of the United Provinces Congress Committee in 1921. His great love for roses as well as children is as well know fact. As a tribute to this great man and his genuine love for children, hi birthday is celebrated all over the india as Childrens Day.